Netflix has proven that superhero series can be hits on streaming services, and Amazon is jumping on the bandwagon with a series about a different sort of superhero. Unlike the dark Daredevil and Jessica Jones, The Tick is going to be a comedy that already looks hilarious. Now, The Tick has found the man to tackle the titular costumed hero, and he’s not exactly new to comic adaptations. 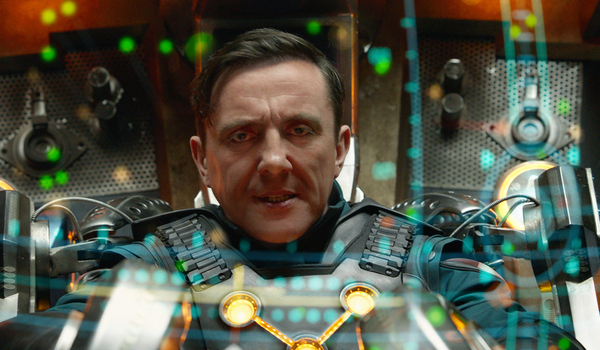 Peter Serafinowicz of Guardians of the Galaxy will take on the lead role in the Tick pilot. Peter Serafinowicz has been all over TV and movies, both in his native England and here in the States - he voiced Darth Maul in that one movie - but he's perhaps best known in recent years for his role in Guardians of the Galaxy, thanks to his character getting to drop a killer one-liner in the trailer. His character unfortunately died in Guardians of the Galaxy, but The Tick will highlight his humor in what could be a fabulous way. The actor will play the Tick as he recovers from a memory loss, according to Deadline. Despite the amnesia-like condition, his innate drive to fight evil will lead him to teaming up with his old sidekick Arthur Everest once more. Arthur’s sister Dot will play a major part as well, worrying about her brother for his involvement in the Tick’s adventures. Arthur will be played by Griffin Newman of Vinyl, and Dot will be played by Valorie Curry of The Following and House of Lies. Hopefully, Newman and Curry will have the comedic chops to keep up with Peter Serafinowicz, who has brought the laughs in such projects as Shaun of the Dead, Look Around You and NTSF:SD:SUV. 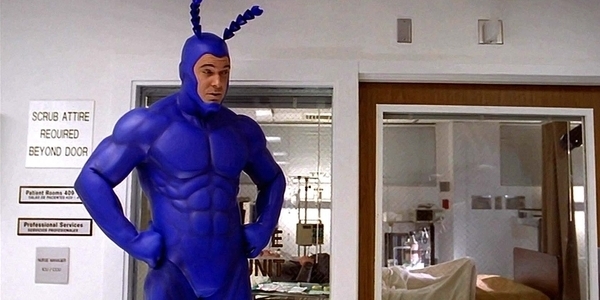 The role of the Tick was originated on the live-action small screen by Patrick Warburton for the short-lived 2001 Fox series, and he was so wonderful in the role that nobody would have complained if he put on the blue body suit once more. Now that Peter Serafinowicz has been cast, we can stop worrying too much about whether or not the Tick can be as funny without Warburton as the star. That said, Warburton is still attached to the project as an executive producer. The pilot is set to be written and produced by Ben Edlund, whose cred for the project includes creating the comic book, the animated series, and the Fox series. Although The Tick only lasted for nine episodes in 2001, critics loved it and a core audience responded well enough to it that it has achieved cult status. Wally Pfister of Transcendence fame will be directing the pilot. Given that Amazon had been considering a Tick reboot as far back as 2014, fans of the character should be happy with all of the forward progress. Casting of Arthur and Dot was a great first step, but knowing the man who will tackle what makes the Tick tick makes the pilot feel much more real. There’s no confirmation just yet of when we might be able to see The Tick hit Amazon, but now our imaginations can run just a little bit wilder. Want to see some of Peter Serafinowicz's comedic chops? Check out this video, where the actor pulls off an insane number of spot-on impressions of totally legitimate celebrities that are in no way made up. I certainly hope he brings some of Cyril Le Lilly-Lee's charisma to The Tick. Here's Peter Serafenowicz's standout scene during Shaun of the Dead, which not only shows off his foul mouth but it also shows off how intimidating a presence he has, which should be even more grand when he's inside of a giant blue suit. Great, now I'm going to obsess over Simon Pegg and Nick Frost getting cameos.